Jackson Peak in the Gros Ventre region of the Bridger-Teton Nation Forest has an elevation of 10,741. Access is via a beautiful hike that allows for a combination of off-roading and climbing options that take you past the remote Goodwin Lake. 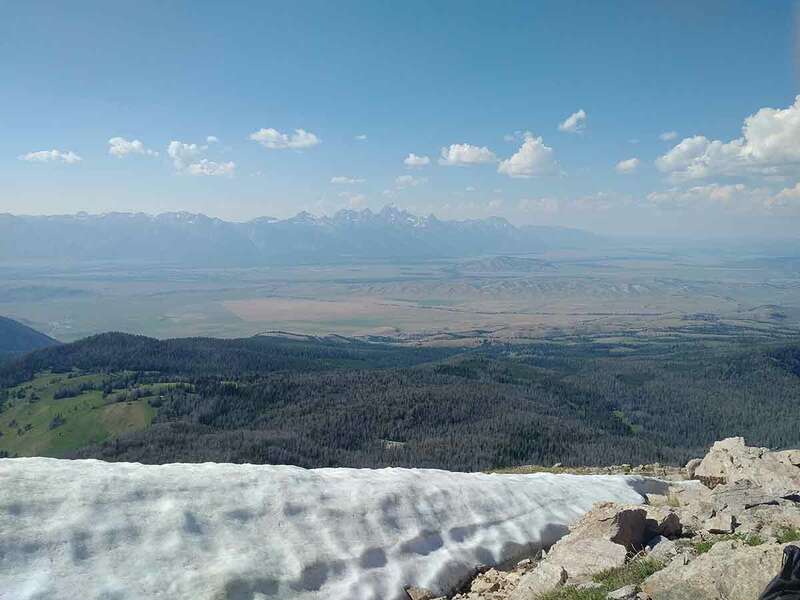 From the peak, there is an awesome view of the Grand Teton. Lat./Lon. 43.46232 North / 110.62656 West.